A good pocket is just a round baseball. You need one, but you’ll throw like a beginner forever without help. What is the Phantom System? Success in lacrosse requires two things: a good pocket and good form. Most beginners have a pocket that doesn’t work with good form. Even with a good pocket, beginners naturally use bad form. Think of how everyone throws a baseball for the first time. Bad form is guaranteed because it's natural. Learning good form is the key to everything that’s fun about lacrosse. STEP 1: Watch the Good Form videos. Once you learn what to look for, you’ll see that almost all youth players and many intermediate players have natural beginner form. No one can be an advanced player if they still throw like a beginner. Most importantly, the Good Form videos explain how a beginner’s natural hand grip and hand spacing actually prevent them from improving. A player can’t improve if their top hand is in a fist and their hands are widely spaced. If these things are correct, then they can learn to use their bottom hand and throw like a pro. STEP 2: Use the Phantom Pocket to learn good form. The Phantom Pocket is amazing with good form, and it stops players from using natural beginner form. It teaches good form, so players can improve and have fun playing. Other pockets let a player throw like a beginner forever. Practicing bad form never becomes good form — it’s a completely different motion. 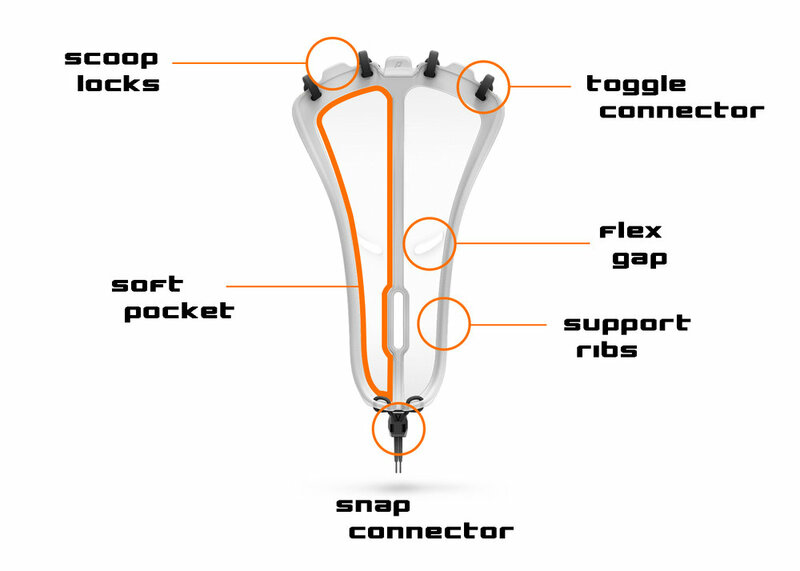 Using a Phantom Pocket is the fastest way for a player to reach their goals. Who needs the Phantom System? Every player starts with natural beginner form. Players who are taught good form early become the stars. If intermediate players still have some beginner bad habits (like not pulling with their bottom hand), they still have a chance to learn good form. But the longer a player uses beginner form, the harder it is to change. Learn more about this issue at LAX ALL STARS. What happens after a player learns good form? Before a player learns good form, we can’t tell if their problem is their form, their pocket or both. Using the Phantom Pocket removes these variables and gives clear feedback: the better a player’s form, the better the pocket works. Once a player learns good form, they have the judgment to use a mesh pocket (and they can learn to string). Learning good form early is the key. Before a player learns good form, when their mesh pocket changes, they’ll change their form to make the pocket work and undo any progress they’ve made. Is it game legal? Yes. The Phantom Pocket is game legal in US youth and US high school games and at all levels in Canada, England and Germany. What if I decide it's not for me? Our return policy is simple: just send it back for a full refund of the purchase price. We’re confident that any player who learns how to use the Phantom Pocket will improve more in weeks than they have in years.